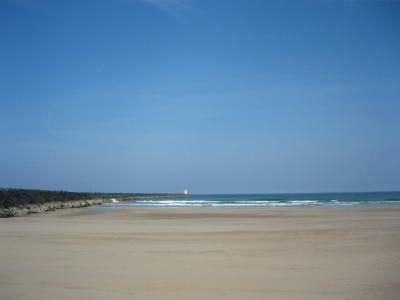 Lock in a great price for At The Beach - rated 9.9 by recent guests. Beautiful location and outlook over the ocean. A lot of attention to detail throughout the property and the decor was excellent. Great breakfast too. The attention to detail was fabulous. Nothing was overlooked and you can tell that a lot of thought and effort has been put into making this bnb exceptional for the guests. It's more like staying in a boutique hotel. Fabulous rooms, very friendly owner, great freshly cooked breakfasts. Everything. Without question this is the best B&B that any of us has ever stayed in. Glenda couldn't have been more friendly and hospitable. Big window with seaview out of our room - fantasic! The host was friendly without being interfering. The property had a high standard of furnishings, comfort and bedding. It was lovely being able to hear the sea. Lovely friendly greeting by owner Glenda nothing too much trouble excellent accommodation fresh and clean decor beautiful , breakfast delicious lovely choice . Would highly recommend "At the Beach " definitely going back again great spot. 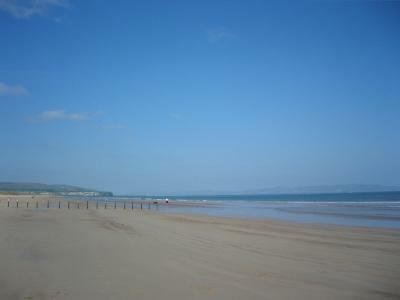 Boasting direct access to the golden Portstewart Strand, At The Beach offers panoramic sea views, stretching from Mussenden Temple to Donegal and beyond. 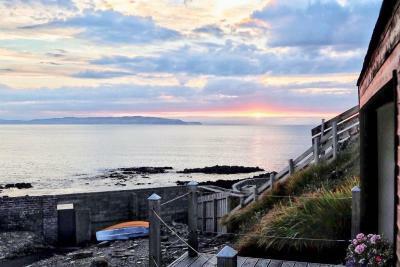 With stylish, adult only accommodation, this luxury seafront B&B has a garden and a shared lounge area. Looking onto the sea, the bright, attractive rooms at At The Beach have colourful, elegant design. There is free WiFi, a flat-screen TV, and tea and coffee making facilities. 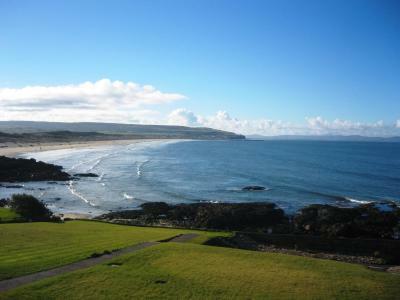 Guests can enjoy 2 miles strolls across Portstewart Strand and admire Northern Ireland’s dramatic coastline, along The Causeway Coastal Route. The Giant's Causeway can be reached in 25 minutes by car. Belfast is just 60 miles away, while Londonderry / Derry is 32 miles away. 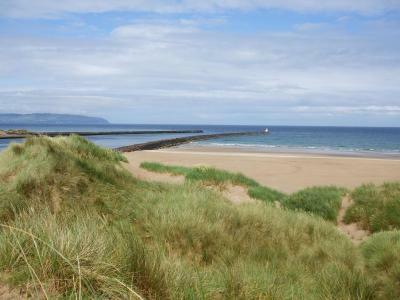 This property also has one of the best-rated locations in Portstewart! Guests are happier about it compared to other properties in the area. 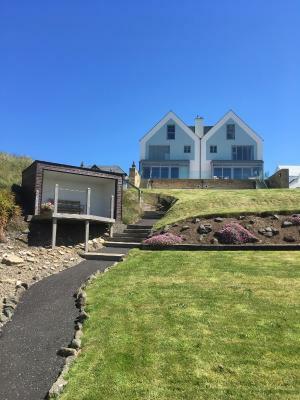 This property is also rated for the best value in Portstewart! Guests are getting more for their money when compared to other properties in this city. 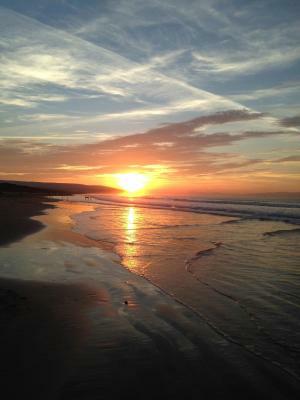 At The Beach has been welcoming Booking.com guests since 19 Mar 2014. When would you like to stay at At The Beach? Looking onto the sea, this bright, attractive room has colourful, elegant design. 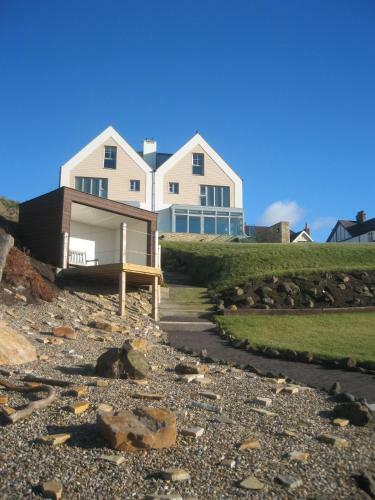 There is free Wi-Fi, heating, a flat-screen TV and tea and coffee-making facilities. Looking onto the sea, this larger, bright, attractive room has colourful, elegant design. There is free Wi-Fi, heating, a flat-screen TV and tea and coffee-making facilities. This twin/double room has a DVD player, sea view, a bathroom with spa bath and walk-in shower. Bathrobes are included. This twin/double room features a electric kettle, DVD player and flat-screen TV. This twin/double room has a electric kettle, bathrobe and DVD player. House rules At The Beach takes special requests - add in the next step! At The Beach accepts these cards and reserves the right to temporarily hold an amount prior to arrival. This property cannot accommodate children. I wish the check in could have been earlier. We were only staying for 1 night and it would have been nice to check in earlier than 4pm to make the most of our time at the property. One of the best views I've ever had. Would come back sometime. 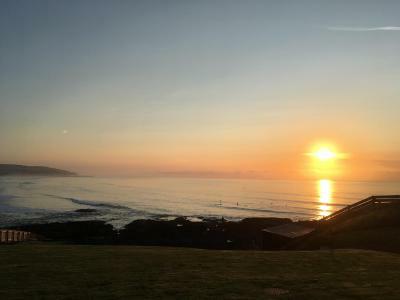 Fantastic views from the property, friendly staff, great location and property. Unique!